The International Space Station's new Tranquility node takes center stage in this view taken during an overnight spacewalk on Feb. 10, 2010 by STS-130 astronauts Robert Behnken and Nick Patrick. 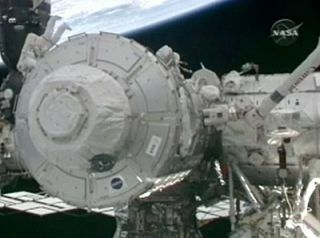 Here, the module is already installed on the ISS. The Cupola dome can be seen in the foreground.